Getting your message right from the off is the key thing. Your Producer will help you do that at the very start, to make everything along the way join up. It’s then a great reference point to refer back to all the way along the production. It’s just about stopping and thinking at the very start – what do I need to say. We find that getting this bit locked down early makes everything run really smoothly. 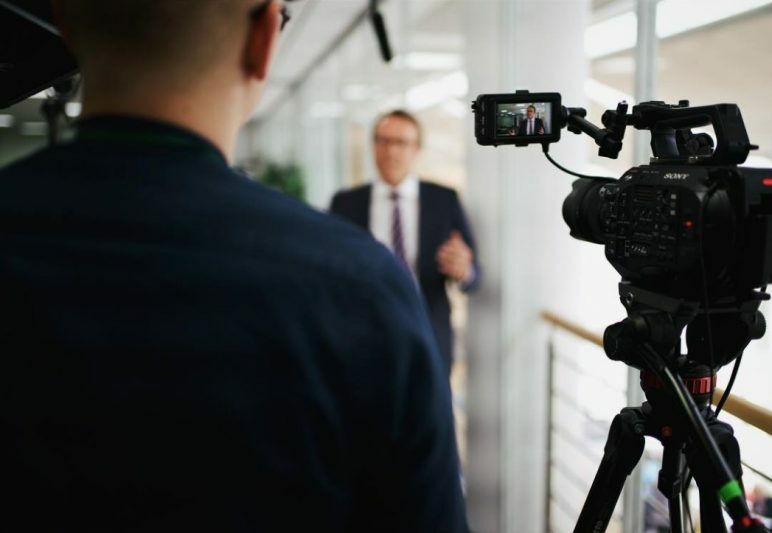 Knowing what you’re wanting your video to do is another really useful thing to get your head around upfront. It’s something you’ll discuss with your production team right from the word go to hone it. Are we making something to sell a product? Get more leads? Train your staff? A video with a clear purpose from the start really helps to make sure the finished product works super well for you when you release it into the big wide world. If you want it to do more than one thing, that’s fine too. Your Producer will have plenty of ideas on how to make this work. Another really useful thing that your Producer will work with you on, is where the video is going to go once it’s done. This is the reason words like ‘output’ and ‘deliverables’ are often thrown about. It will help your crew to nail the framing, feel and pace of your film. It will also mean you’ll get a video that looks really REALLY great when it’s on that screen or platform it’s been made for. You’ll most probably have one of these already. But if not – is there something that you’d love to have your video ready for, but you thought it was a bit out of reach? It may well still be possible. Video people are pretty clever at getting stuff done fast. Speak to your Producer – they’ll no doubt have some ideas on how to get you something done in less time than you think. A really useful tip this one – if you can, when you receive your production schedule from your production company, block out diary time for you and any other decision makers involved to preview the edits when they’re due to come in. We find that this means you can jump on collating feedback straightaway and get the whole thing signed off really fast. You can then get using your shiny new film nice and quickly and start reaping the benefits. Which, ultimately – is what it’s all about. Got any questions? Call the team on 020 7112 8665.